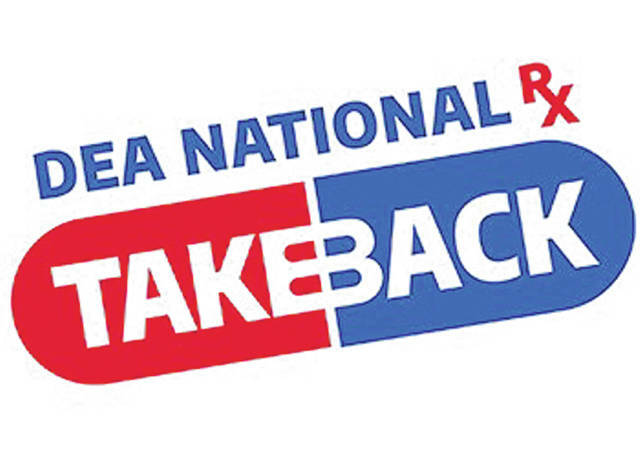 XENIA — The Greene County sheriff is encouraging residents to drop off unused or expired medication for safe disposal 10 a.m. to 2 p.m. Saturday, April 27 on National Prescription Drug Take Back Day. Liquids and needles will not be accepted. Participants should remove pills from packaged materials. Last year, more than 900,000 pounds or unused or expired prescription medication was collected nationwide during Take Back Day, according to the Drug Enforcement Administration (DEA). The total amount of prescription drugs collected by the DEA since the fall of 2010 is 10,878,950 pounds. The locations will also accept tattered flags for disposal at the annual Flag Day flag retirement ceremony.